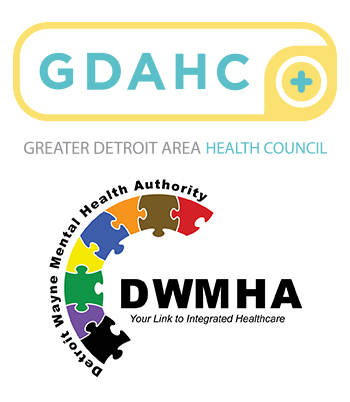 GDAHC, the Detroit Wayne Mental Health Authority, and partners continue the fight against the opioid crisis and invite you to participate in the 4th Annual Opioid Abuse and Heroin Overdoes Solutions Summit: Innovative Collaboration for Change. Participants can expect to learn a wide variety of information related to this national issue and how it is affecting the state and region. Experts will provide an examination of current efforts, updated research and statistics, and emerging threats. There will also be an exploration of peer recovery programs and their relationship with and within the health care setting and the courts system. Additional presentations include a review of new licensing rules; the impact of the epidemic on our youth, educational system, and families; opportunities for providers and pharmacists to develop their understanding of substance user disorder and how to implement quality improvement metrics and coordinate with behavioral health professionals; state-level pilot programs. Attendees will receive 5.5 MCBAP-approved specific education hours awarded by DWMHA. Registration is now open! Last year's event saw over 600 attendees and we highly recommend purchasing tickets early. Tickets can be purchased on Eventbrite. An event flier is also available for download. Sponsorships, tables, and booths are available for this event, and offer an amazing opportunitiy to get your organization's work in front of a large, diverse audience. Please contact Nicki Gabel at ngabel@gdahc.org for more information regarding these opportunities. A PDF of sponsorship levels and benefits is available for download. The a brief agenda and a full agenda with summaries are available for download. Chris O'Droski, MA, CPRM, CPRC, ENGAGE! Program Coordinator, Hegira Programs, Inc.
Timothy Tout, MI-REP Peer Recovery Coach, Personalized Nursing LIGHT House, Inc.